We are proud to announce that Shinesoundtracks will be one of the companies guests at the meeting “Let’s Play: il videogioco tra impresa e cultura”. The conference is organized by AESVI – Associazione Editori Sviluppatori Videogiochi Italiani – and Q-Academy and it will take place in Catania at Dipartimento di Economia e Impresa, Aula Magna Palazzo delle Scienze, Corso Italia 55, Thursday 23 febbraio alle ore 10:30. 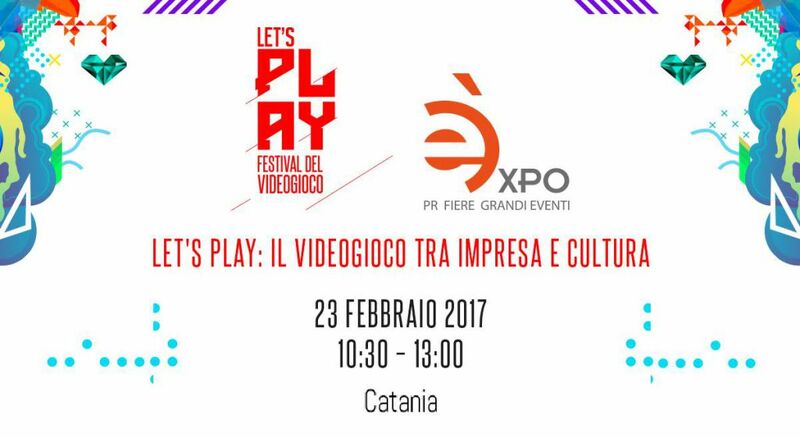 LET’S PLAY aims to deepen the theme of the video game industry and promotion of innovative start-ups in eastern Sicily, highlighting its contribution to the development of enterprise, creativity and culture. – Rosario Faraci, professor of Economia e Gestione delle Imprese at Università degli studi di Catania. – Giovanna Marinelli, coordinator of Let’s Play Videogame. – Thalita Malagò, general secretary AESVI – Associazione Editori Sviluppatori Videogiochi Italiani. – Sebastiano Battiato, President of the degree course in Computer Science. Moderator will be the journalist Giovanni Polito. In addition to Shinesoundtracks will be present: Behaviour Labs, social robotics company applied to autism therapy; Rimlight Studios, software houses; Mash & co, start-up dedicated to developing educational apps; A-Tone, a developer of digital products and services, digital branding agency; Sylphe labs, indie developer.